As you all know I’m the hugest fan of a co-ordinated suit, so much so that pretty much every birthday gift from friends and family was a matching suit! But my favourite matching set at the moment is from Wallis. 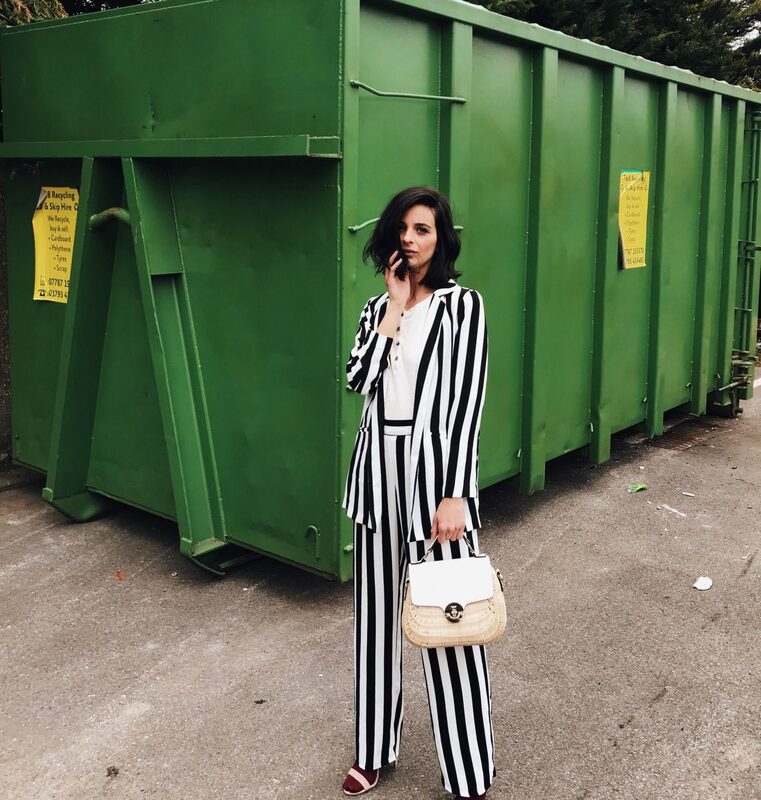 Now you know just how much I love this brand (my Wallis Haul will be coming next week) when I wore their monochrome jumpsuit (which I wrote about here) they never fail to disappoint at the moment. My favourite part about this fashion brand, is that they are a great price point which means that you can look on trend for less. So a winning brand for me! 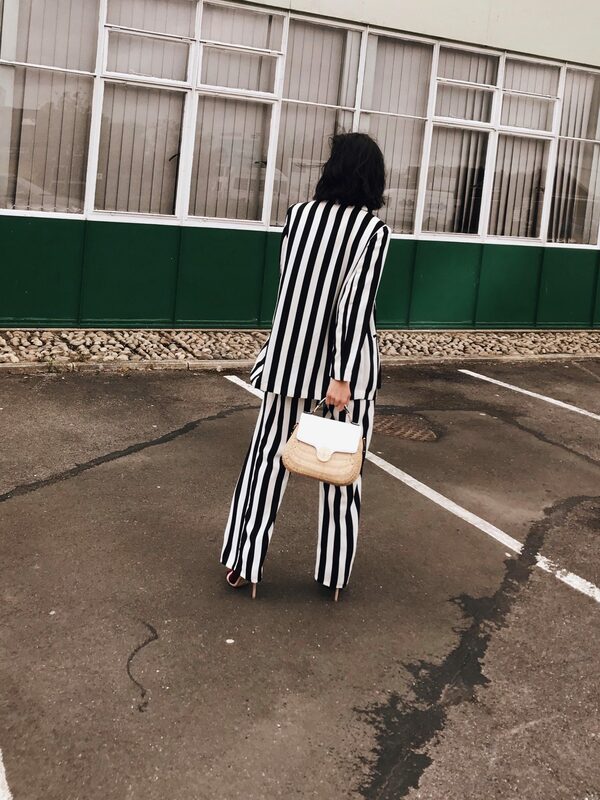 I was recently sent this super pretty monochrome co-ordinated suit ( blazer here and here with the trousers here and here) from their Occasion wear capsule and it was one of the items from their new collection that I absolutely fell in love with. I had a girls brunch and decided this outfit was perfect for the occasion and perfect for SS18. 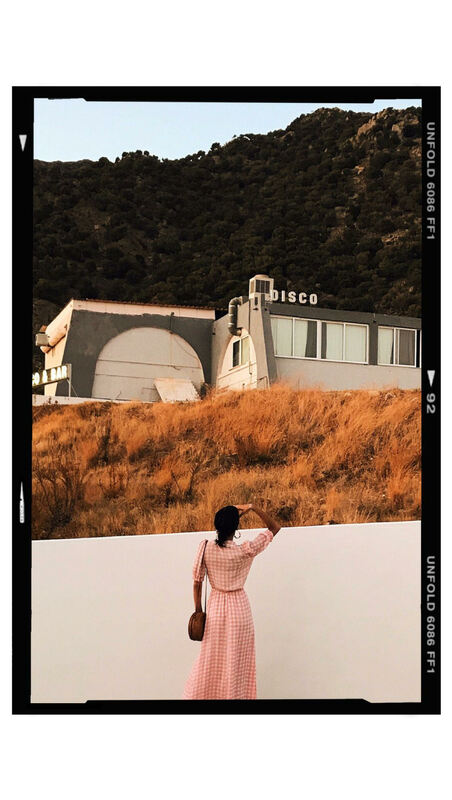 It’s light material and wide leg pants means its a perfect combination for the warmer months allowing a nice little breeze to help keep you cool. I definitely plan to wear this in multiple ways. I’ve teamed it here with my Ganni socks and sandals which has fast become my signature look along with the suit look but I would totally wear this dressed down with my ginger vans (here) for a more casual laid back french chic look. 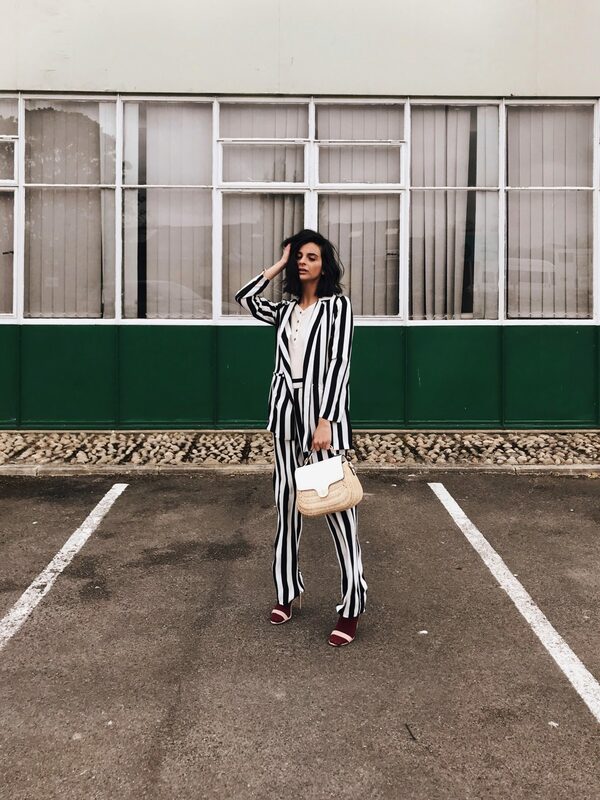 The vertical stripes is a winning combination for me as it helps elongate my body helping to lengthen and make me look a little taller! 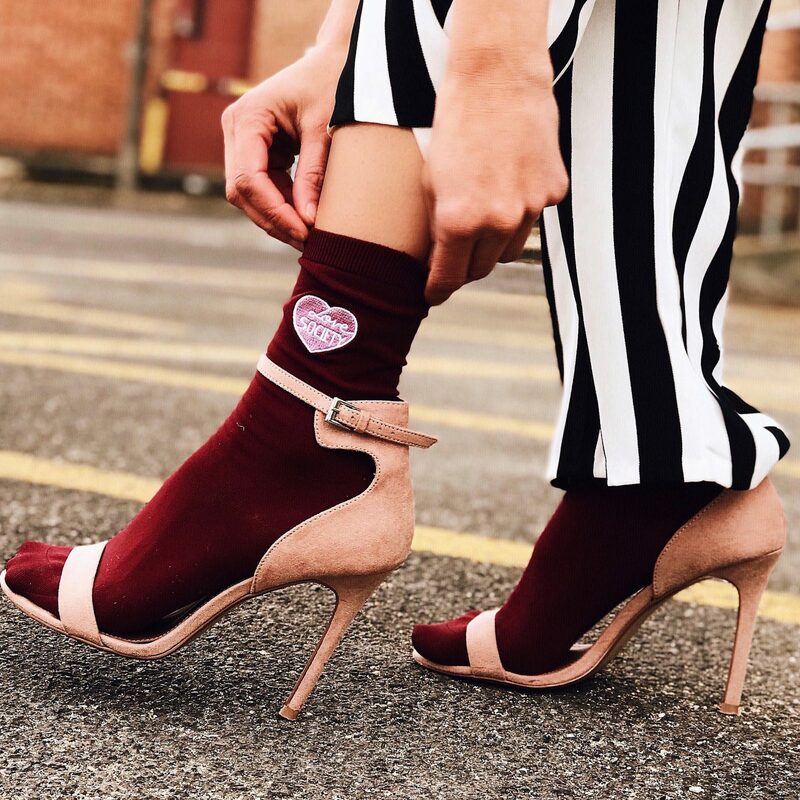 This versatile look comes in at under £65.00 and shopping on a budget couldn’t be any more fun than heading straight to Wallis. 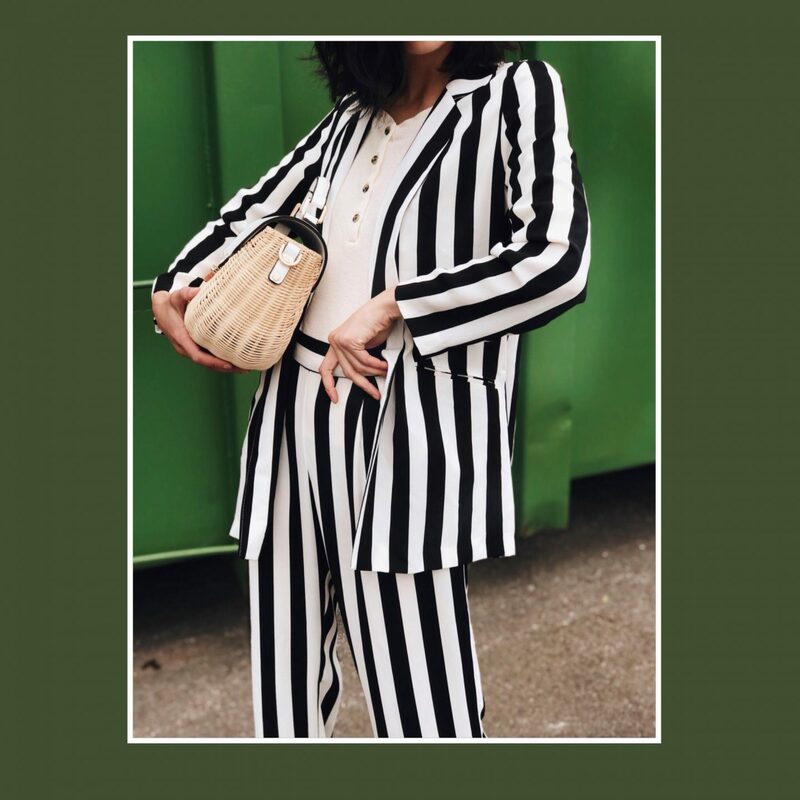 What I love about Wallis is that they cater for all kinds of shapes and sizes ( also true to size), so there is something for everyone and this matching suit is the perfect look to add to that stylish wardrobe of yours! Would you guys like to see how I style this suit in different ways or more budget friendly shopping guides? Drop me a comment below, I’d love to hear from you! Will you be doing a photo edits post?? These are really good m, love the green and the beetle juice vibes.